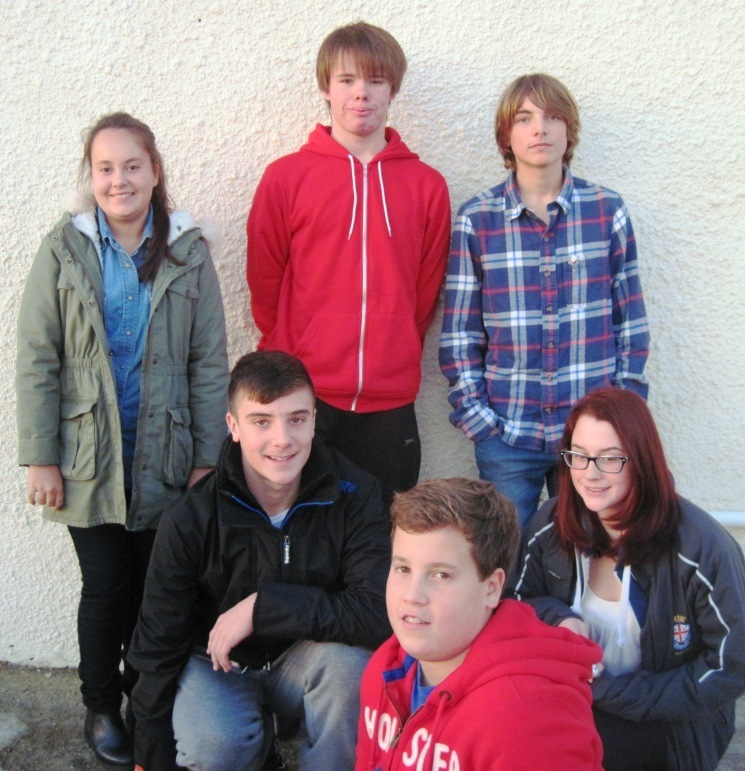 Last Sunday 8 December the younger members of the Gunfleet Sailing Club held their Cadet and Otter Annual General Meeting. Cadet Officer Chris Williams welcomed those present and looked back over a very successful and full year for the 73 Gunfleet members under 18 years of age. 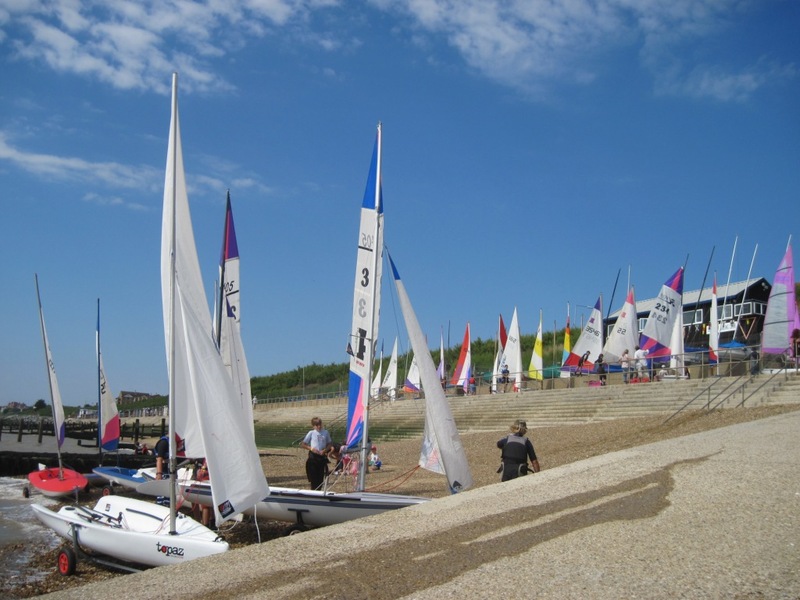 The programme focusing specifically on the Cadets and Otters had included sail training, race training, class racing for the Hobie 405’s, Topazes and Toppers, plus some cruises and fun and games days. On Sunday 8th December there is the Gunfleet Cadet and Otter Annual General Meeting, starting at 3:00 p.m. As well as looking back at a great year – Cadet Day, Sailing On Saturday, Cadet Week etc. 2013 Cadet Week - Fantastic! MONDAY: So here we all are, down at the Club, collecting our wristbands, getting changed, rigging the boats, finding out who is with who, and what Teams we are in. Then it is in the Clubhouse for a briefing from our Cadet Officer Chris before getting on the water ready for the first race. Now I don’t know about you but I’m convinced somebody turned the fan on, ‘cause it’s honking a bit (at least a five). Hey, Cadet Week is almost upon us and it's going to be a groove one. If you are coming to Cadet Week you should have received your Cadet Week Programme (if not then let us know). The 405's, Topazes and Toppers will be doing battle before lunch with class racing - separate starts, separate, courses and....separate Trophies. After lunch the games begin and the day really hots-up. Remember you will be in Teams so you will be working together. It's going to be kinda-cool...not long to wait now. And then there is the Cadet Week Party on Saturday 31 August....WOW. Hey, the clock is ticking....Gunfleet's 2013 Cadet Week is on its way and it's going to be the best ever. 2013 Cadet Week is from Monday 26 August to Friday 30 August with a mix of racing, cruising, games, loads of activities on and off the water, and most of all....loads of FUN. Then of course there is the Cadet Week Party on Saturday 31 August - the coolest place to be. Level 1 – The Basics of Sailing will continue to get those new to sailing to be able to really handle their boats whilst Level 2 – Improving Your Skills will be aiming to make you top sailors in the Club. 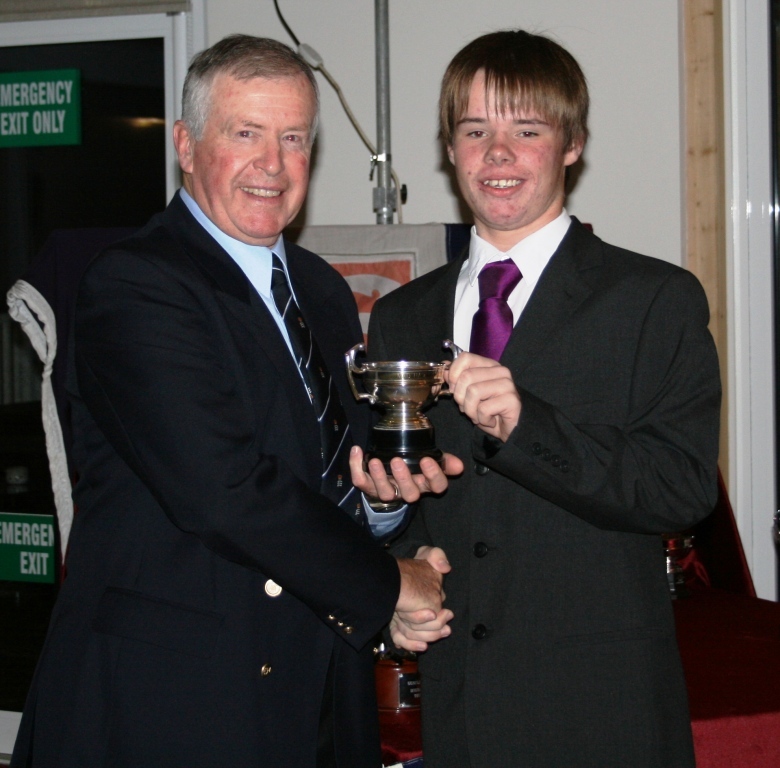 Our guest trainer this time is Ken Potts who won the Club’s Senior Leading Helm Trophy seven years in a row, so make sure you don’t miss this one. The rotten weather on the last three Saturdays has literally blown apart the original Sailing On Saturday programme but we don’t let that worry us. But in case there might be any confusion about this Saturday 29 June we thought it best to clarify the SOS activity which is per the original programme – Sail and Race Training 2 with Level 1 – The Basics of Sailing, and running separately Level 2 – Improving your skills which this time is all about getting a good start. So make sure you come down to the Gunfleet at 3:00 p.m. Yes indeedy....it's all change when this Saturday 22 June the Gunfleet Cadets and Otters have the second session in their sail and race training (originally set for Saturday 29 June). There will be two sections - the first for those who are new to sailing or who have limited experience. The second section is race training for the more experienced, when Paul Davis (our guest trainer) will show you how to really get a good start. How annoying was Saturday 8 June with all that wind and wild seas?!?!! 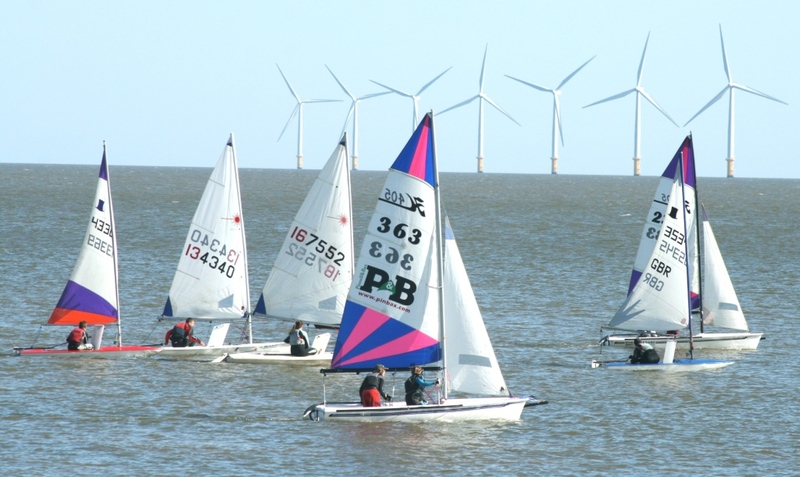 And we wanted to show our friends how great sailing is, still never mind we can invite our friends down on Saturday 22 June and take them sailing up to the Boating Club at Holland Haven. It will be even better because the Boating Club says there will be a "banana" on the water and we can all be towed behind a water bike or RIB - now that sounds like a LOL - lot of larfs; so let's all arrange with a friend to come down with us on Saturday 22 June and go for a sail up to the Haven. 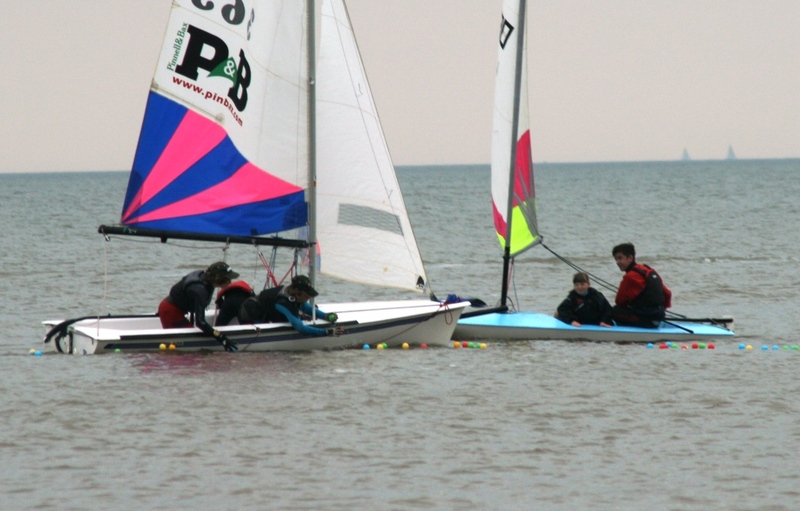 This Saturday 8 June it’s “Bring A Friend Day” down at the Gunfleet – a chance for all us Cadets and Otters to show a friend (or two) how brilliant sailing is, and what fun we all have down the Gunfleet. So grab your best friend, or any friend you think might like to get wet, capsize and, most importantly, enjoy the thrills and spills of sailing on the high seas. It all kicks-off at 3:00 p.m. and goes on until 6:00 p.m., and remember there will be Burgers and Hot Dogs for sale at the end. Scooping up the balls during one of the Cadet Day games. What a blast Cadet Day was...with 25 of us all getting together for a bit of sailing, loads of games, a lot of laughs and getting just a bit wet!! SOS – Sailing On Saturday was full-on when it all started on Saturday (surprise, surprise) 25 May. 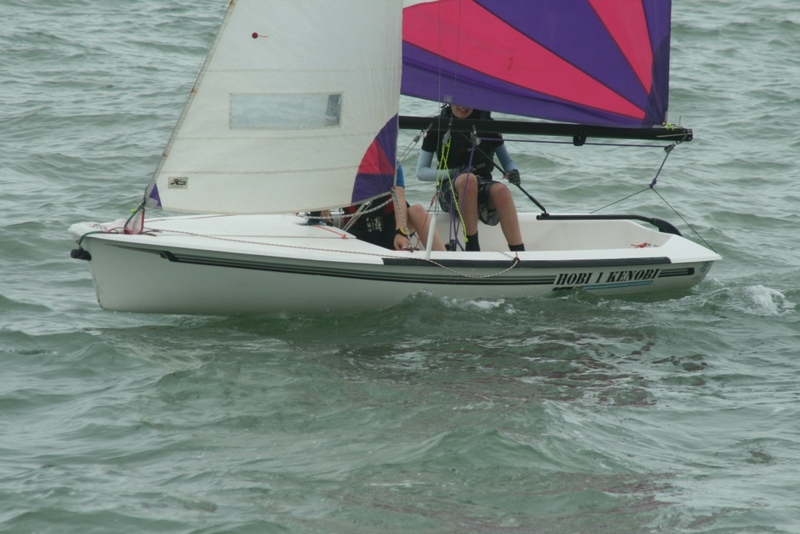 This one was the first in the Sail and Race Training and twenty of us Cadets and Otters took part. It was great to have two separate training sessions going on; one for those just starting to sail, under the instruction of Pete Downer – thanks Pete; and the other for those more experienced with an aim to improving our skills. At one of the Cadet and Otter Winter Socials several of you entered the "name your boat" competition, and there were some really great names suggested. 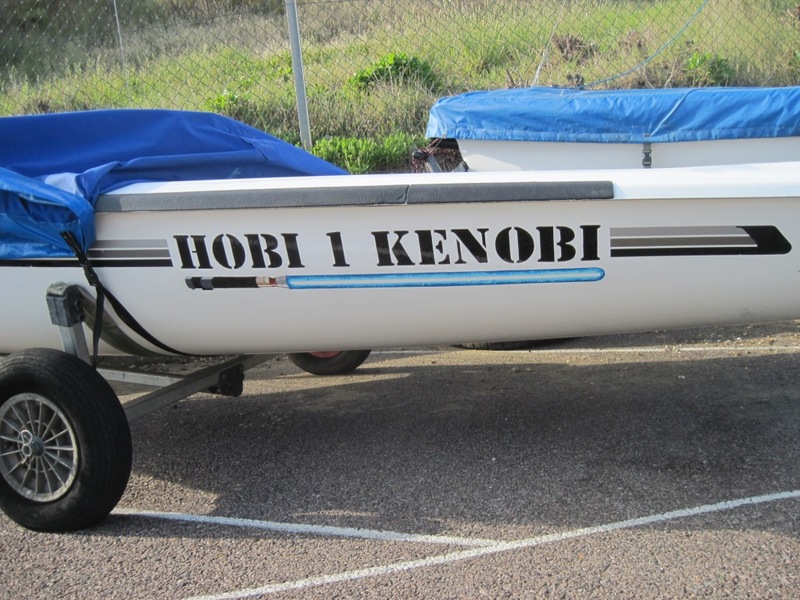 The prize for the winning entry was to have the name sign-written on the boat and It was Charlie and Harry Spence that won with the name "Hobi 1 Kenobi" for their Hobie 405. Just to make it a bit tougher for the sign-writter (our very own Club Commodore) they asked if they could have a lightsaber added, as well as a particular font style! !